Eric Holder, who stepped down this year as the U.S. Attorney General after six years in office, rejoined the law firm he had left to accept the top slot at the Justice Department. That firm is Covington & Burling, which operates a revolving door between the Justice Department and its own front door. In addition to Holder, Lanny Breuer, who headed up the Justice Department’s criminal division under Holder, also returned to Covington & Burling after a devastating report by ABC’s Frontline on how his division had failed to seriously investigate crimes on Wall Street. Making the round trip between the Justice Department and Covington & Burling in 2010 was Steven Fagell, former deputy chief of staff at the criminal division, and Jim Garland, former deputy chief of staff to Attorney General Eric Holder. Dan Suleiman, former deputy chief of staff to Breuer at the Justice Department, rejoined the law firm in 2013, the same year as Breuer. While Holder was in the position as the top law enforcement officer in the land, the firm he would rejoin, Covington & Burling, was serving as “counsel to the underwriters” of a stock offering by Retrophin, then headed by CEO Martin Shkreli, the man the Justice Department is now accusing of looting Retrophin, a pharmaceutical startup, in a brazen Ponzi scheme type of operation. According to the Docket in the Federal lawsuit filed by Retrophin, Shkreli is being represented by three high-priced lawyers: Elissa J. Preheim of Arnold & Porter, Richard T. Marooney, Jr. of King & Spalding and Wendy W.H. Waszmer, also of King & Spalding. 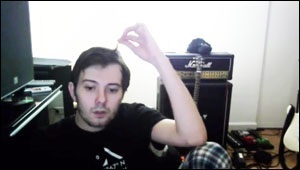 The 30-something Shkreli, founder of Retrophin and its first CEO, who was not only able to shepherd firms like Covington & Burling and Katten to launch his stock offering to the public, and is now represented by another team of legal heavy weights over charges he looted the company, is spending his evenings and wee hours of the morning live-streaming his sleep-deprived persona from YouTube, on one occasion in what appears to be pajama bottoms. All of this further raises the question as to just what has happened to the U.S. securities markets, which at one time held the respect and confidence of the American people as well as much of the civilized world. “Covington & Burling is the law firm that, according to an earlier U.S. Department of Justice, fronted for the illegal misdeeds of Big Tobacco for four decades. Covington & Burling’s relationship with Big Tobacco went far beyond the typical attorney-client relationship. The firm set up front groups to hide payments and to hide the coordination of Big Tobacco in promulgating fake science on the issue of second hand smoke.